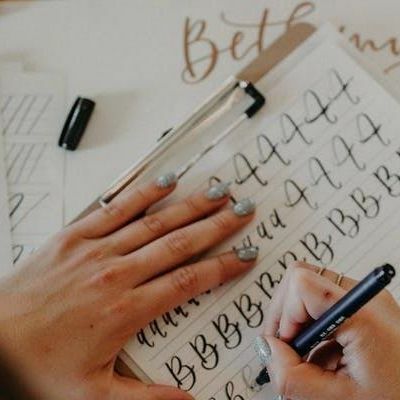 Hosted at Charmed Kitchen, located in the heart of Butcher's Hill, you'll enjoy a complimentary glass of wine and a personal mini cheese and chartcuterie plate while learning the techniques of brush pen calligraphy. The bar will be open and a small selected menu will be available for additional food and drink purcahses throughout the workshop. Please email Y29wcGVyc3RvbmVjb2Rlc2lnbiB8IGdtYWlsICEgY29t to indicate any allergies or special diets.